Regardless of what the weather is doing, Memorial Day marks the unofficial start of summer so this week I wanted to make something to sip while sitting in the sand. While a day at the beach may not be in the cards with this cool weather we're having, a summery (almost pink) drink will have to suffice. 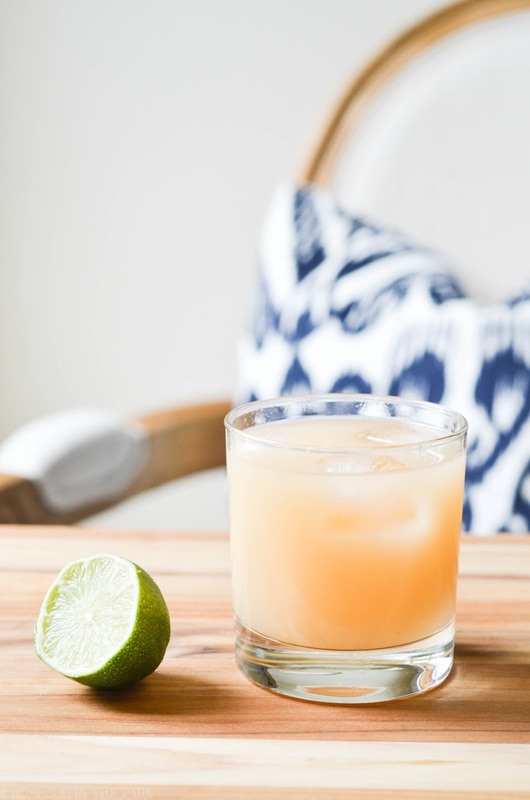 I've had a couple of recipes for this one pinned for a while but haven't gotten around to trying it, mostly due to my inability to remember to add grapefruit juice to the grocery list. It never made it on to the list, but I did stop to pick some up on my walk home from work earlier in the week. The Paloma is so easy to make and isn't overly sweet, which is always a win in my book. 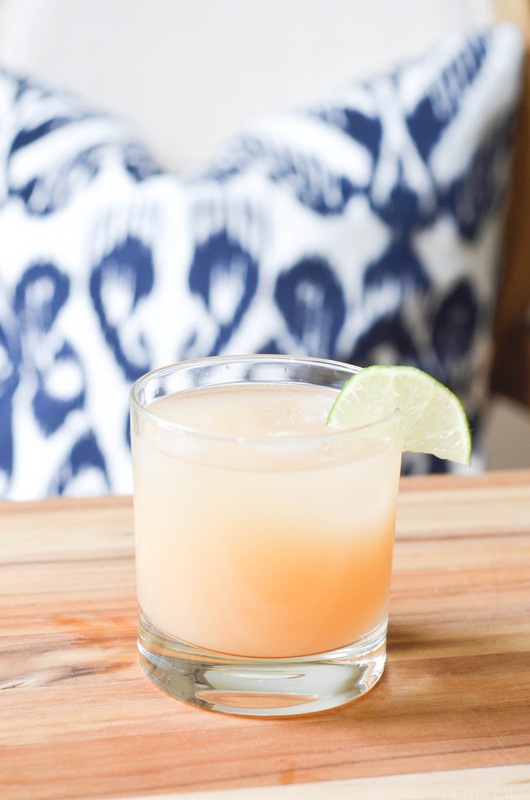 The grapefruit and lime juice do a nice balancing act, and the splash of soda mellows it a bit. This is the kind of drink I'd expect to see on a brunch menu. I'm kind of surprised that I haven't. It would blend right in with the brunch crowd of cocktails. 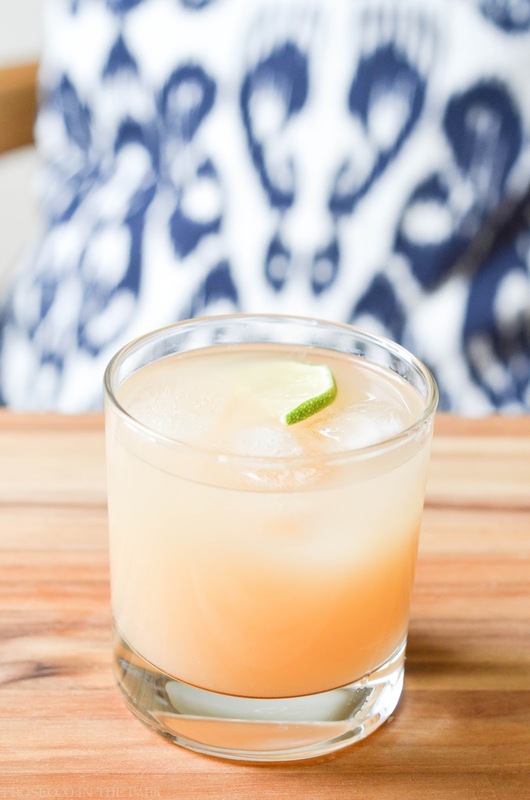 Add grapefruit juice, tequila, and lime juice to a large glass. Stir. Pour over ice and top with soda water. Garnish with a slice of lime or grapefruit if desired. 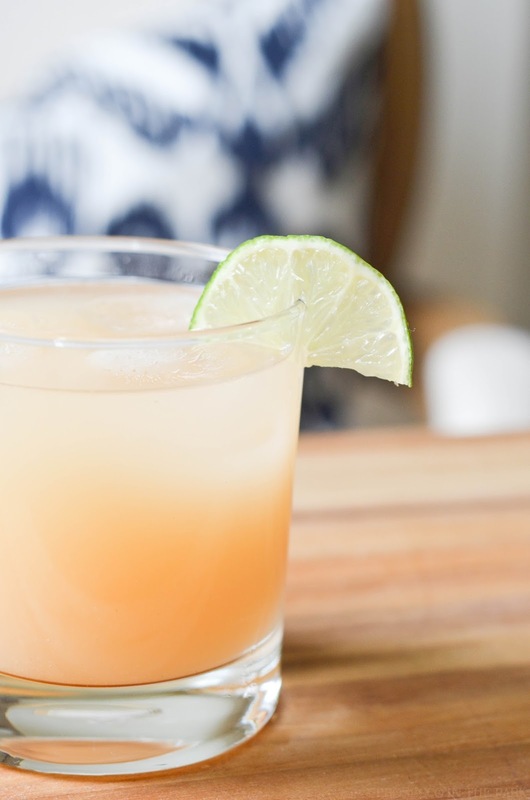 I've never had a regular Paloma but the sparkling Paloma is one of my favorite summer drinks! YUM! 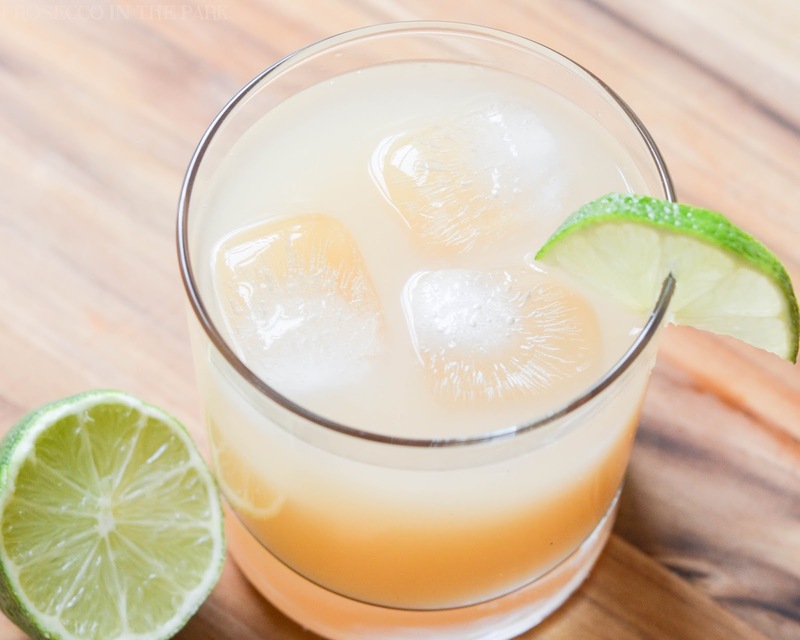 Grapefruit and lime. Sign me up! that looks amazing, I could use one or five on my road trip ahead! Oh this looks so good and summery! So, makes me wish I weren't pregnant for a bit, but I'll save the recipe for next summer! Anything fit for brunch is a winner in my book! Also your chair and throw pillow(?) is the background are to-die-for! Love grapefruit cocktails! Refreshing but not too sweet. Can't wait to try this recipe!!! this sounds delicious! bookmarking this to make later this summer!